Today is our 6th wedding anniversary! We've been together just under 15 years but today marks 6 since we said our vows. 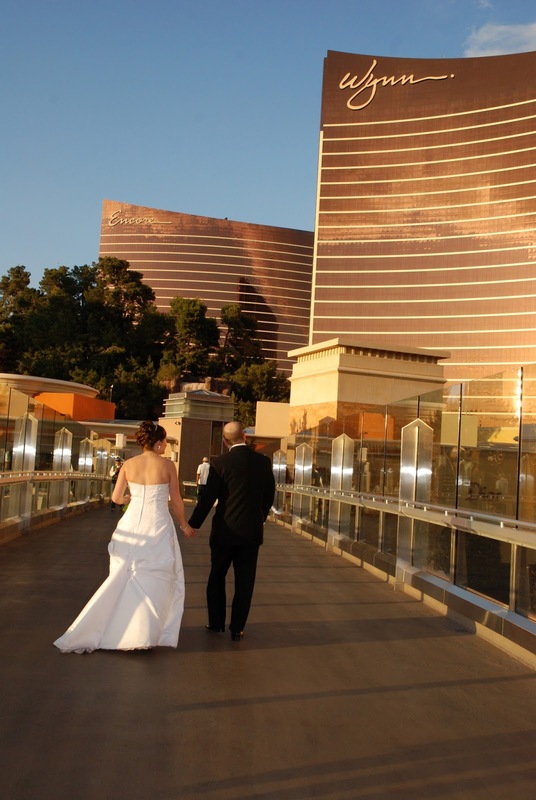 We had an awesome day in Las Vegas, our favorite city and hopefully future home. I had some vague ideas for this card in my head, and it was really fun to see it come together. I love how it turned out. First, I ran a piece of white card stock through my Big Shot with the Darice Wire Fence embossing folder, and one of the negative embossing diffusers from Tim Holtz. Then I used my mini score board to add score lines on either side of the embossed space. 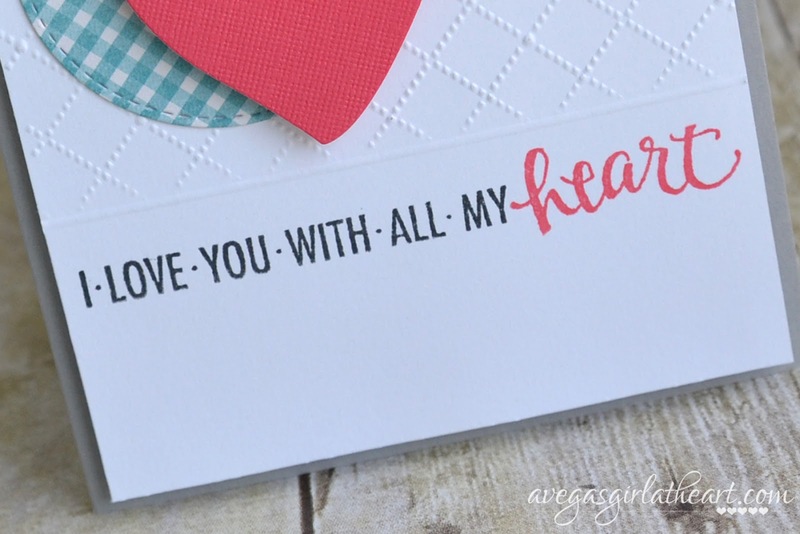 Then I stamped 'I love you with all my heart' using the With All My Heart stamp set from Technique Tuesday. I used Memento Tuxedo Black and Lady Bug inks. I like having the 'heart' in red. It really makes it stand out. 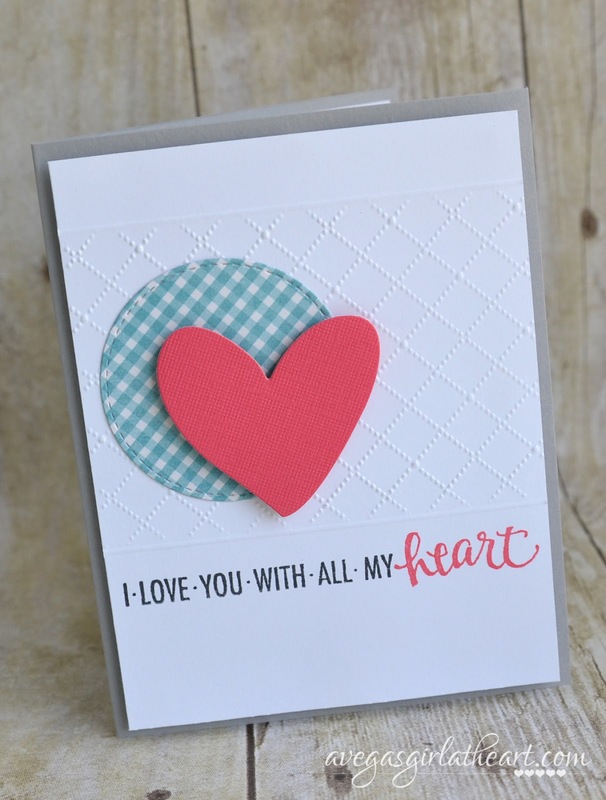 Then I die cut a circle using the My Favorite Things Stitched Circle die set, and a heart with a die from a Dear Lizzy die set. I popped up the heart with some foam adhesive. 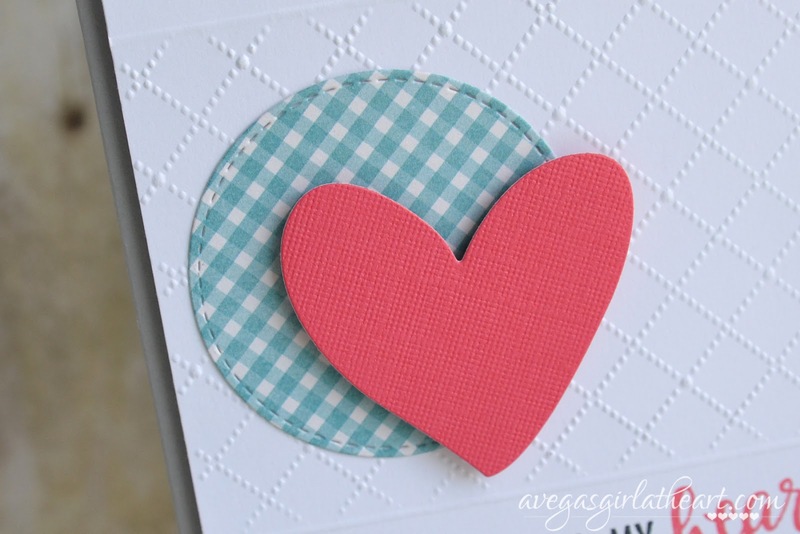 My card base is Stampin' Up! 's Smoky Slate card stock. 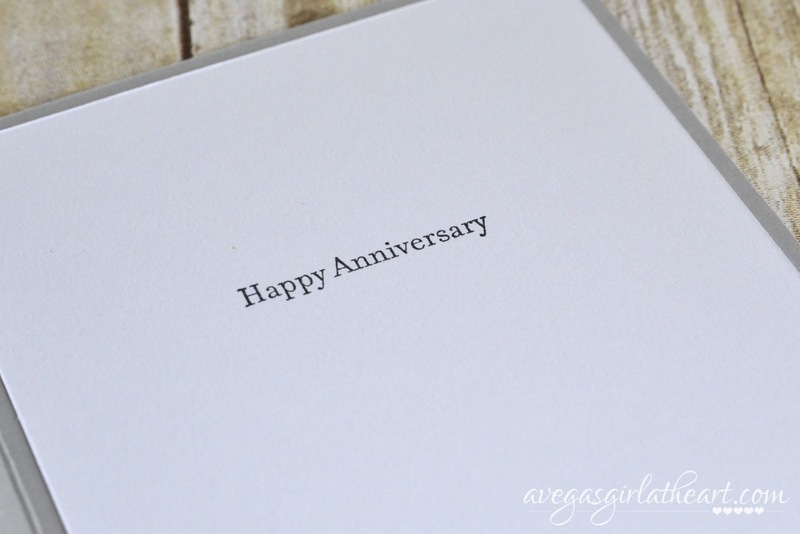 Inside the card I stamped 'Happy Anniversary' with the Stampin' Up! Teeny Tiny Wishes stamp set. I like the simplicity of the font of this stamp inside the card, with the front of the card being in such a fancy font. We're going to enjoy a nice dinner at a local restaurant this evening to celebrate, but no other big plans for the day, which is just fine with me. Sometimes curling up at home together is exactly what we need. CONGRATULATIONS! May you have many more wonderful years together. This card is so beautiful! I love how you can make something that looks so simple and fresh, but looking close there are such gorgeous details that make it feel really thoughtfully crafted. I hope my card is up next! It is sooooooooo pretty! I put it on display in my crafty room next to my Bday card you made me. I get lots of inspiration from them!